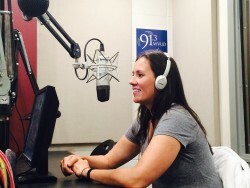 Late last month, Danielle Dixson, an assistant professor in the College of Earth, Ocean and Environment, stopped by the WVUD studio to talk about her research around the world. One of the many colorful animals Danielle Dixson has met in the Caribbean. Courtesy of @fish_scientist. A marine biologist, Dixson has dived in places like Australia, Belize, Fiji, and Papua New Guinea, studying fish and their habitats. In this interview, she explained how climate change and rising ocean acidification levels negatively affect fish–specifically, their intelligence and sense of smell. 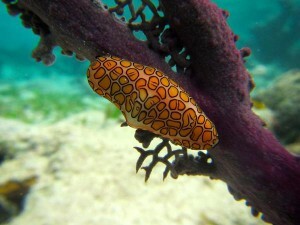 Dixson also described coral behavior such as the spawning process and their ability to decipher chemical cues. Towards the end of the interview, she previewed how her work with fish and corals may be adapted to research in Mid-Atlantic salt marshes. You can follow also follow Dixson on Twitter, through her handle @fish_scientist.